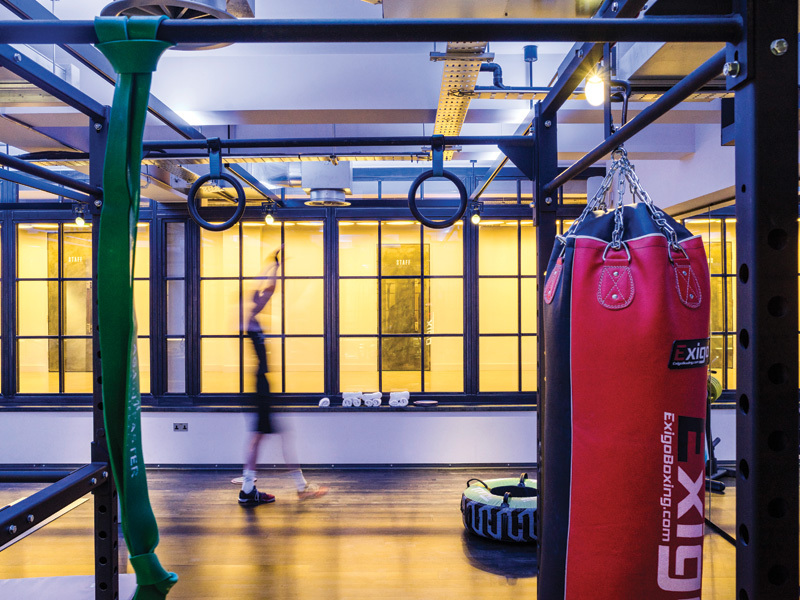 Hot from the USA is this new-style gym, where eating and socialising doesn’t necessarily have to go hand-in-hand with a sweaty work-out. 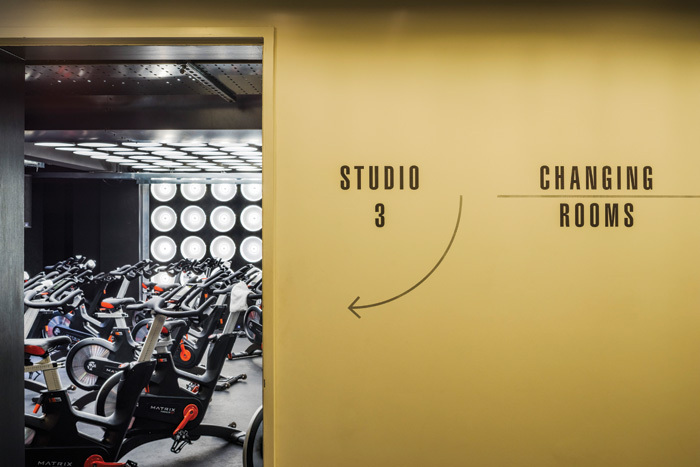 London-based architecture practice Waind Gohil + Potter Architects (WG+P) has designed the UK’s first Core Collective gym: a state-of-the-art, pay-as-you-go gym concept, widely used across the US and now arrived in the UK. 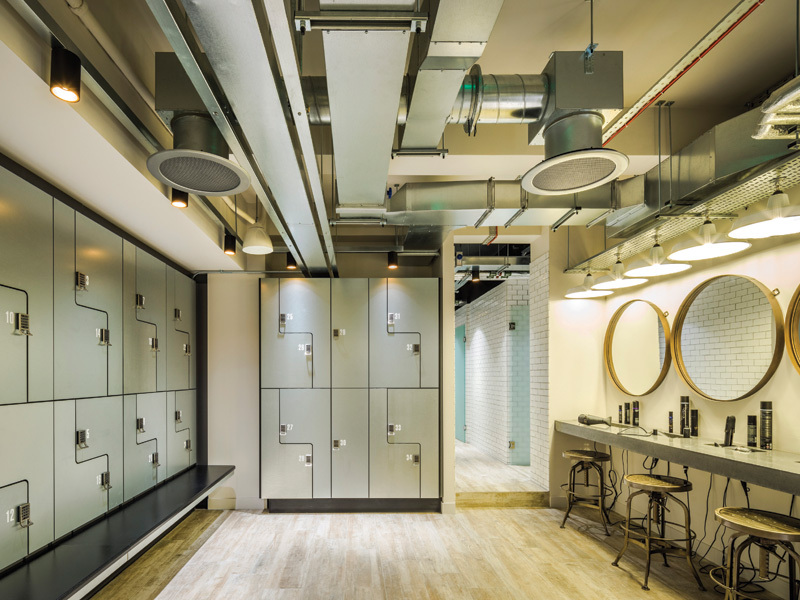 Delivering contemporary design for ‘boutique fitness’, WG+P has delivered an interior scheme to include marbled flooring and exposed brick. 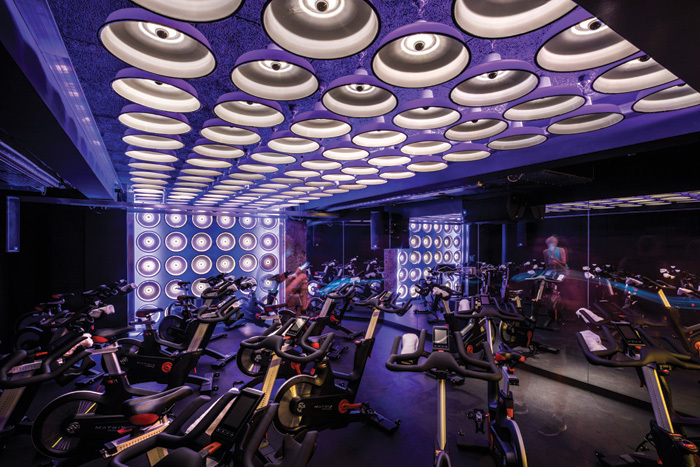 Using a palette of industrial materials including polished concrete, steel-framed glazed screens, exposed services, and colour-changing lighting, the design aims to enhance the dynamic workout experience. 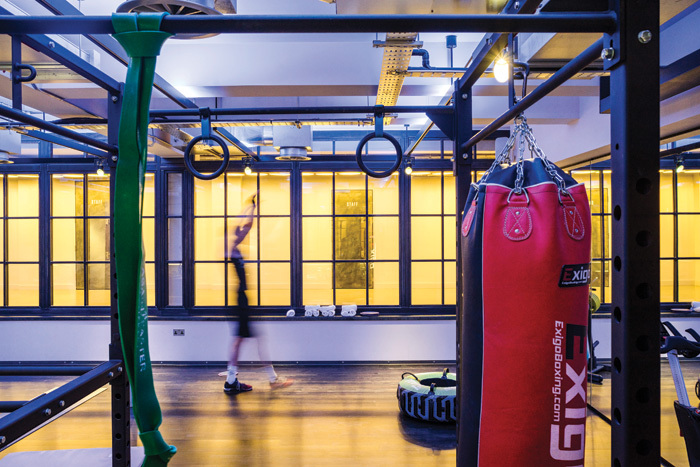 ‘It is a destination to relax in after an exercise class; contemporary surroundings with luxury facilities, products and a fully equipped cafe,’ says WG+P director, Philip Waind, with the design scheme answering the brief of reinforcing a social gym culture in addition to creating a great place to work out in. 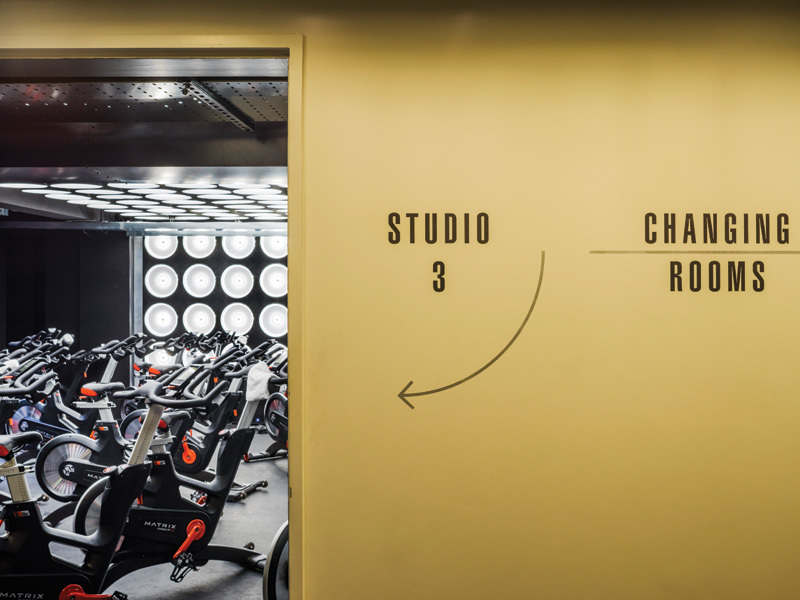 Tasked with constructing a series of flexible-use studios, the practice has responded with the different spaces ‘marrying to a contemporary design’ that is responsive to the gym’s brand and features of the building. A stripped-back and simple design was required for an overall user experience melding with a wider sense of wellbeing, focusing on social life within a luxury setting. ‘Until recently gyms with machine-led training have focussed on the physical exertion of “the workout”, without attempting to reconcile the influences that lifestyle, social aspects and a healthy mind have on the ability of people to train both harder and in a more balanced and regular way,’ says Waind. 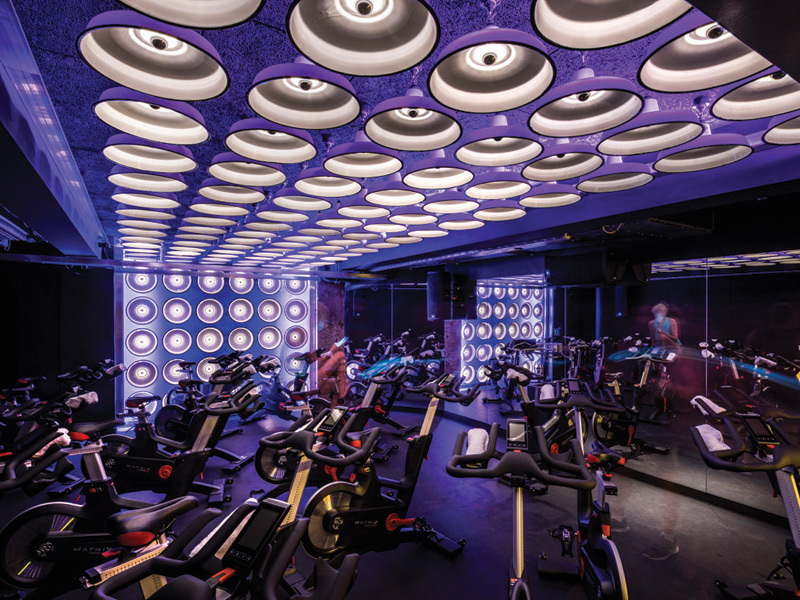 So, here the design of the cafe and club became prevalent, and the practice set about investigating the user experience in the space, from arrival through to workout and post-workout areas. Sited in a former spa WG+P identified the relatively small ground-floor area, that with the benefit of natural light, as ideal for a health cafe and juice bar. 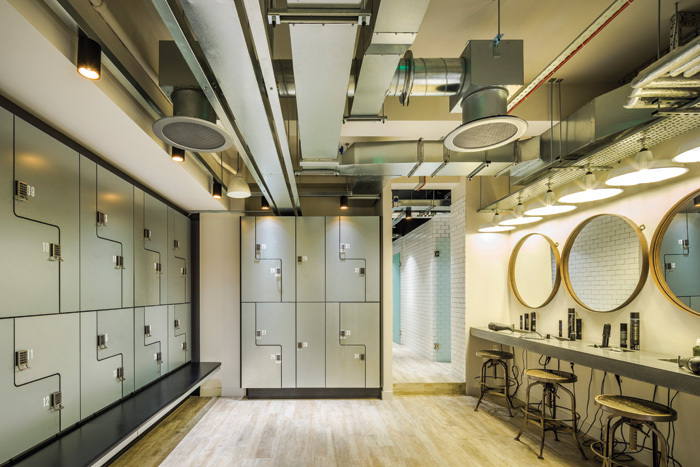 ‘Beneath this an expansive basement area was available for changing areas and training rooms. The balance of these areas worked well to support the functional brief,’ says Waind. 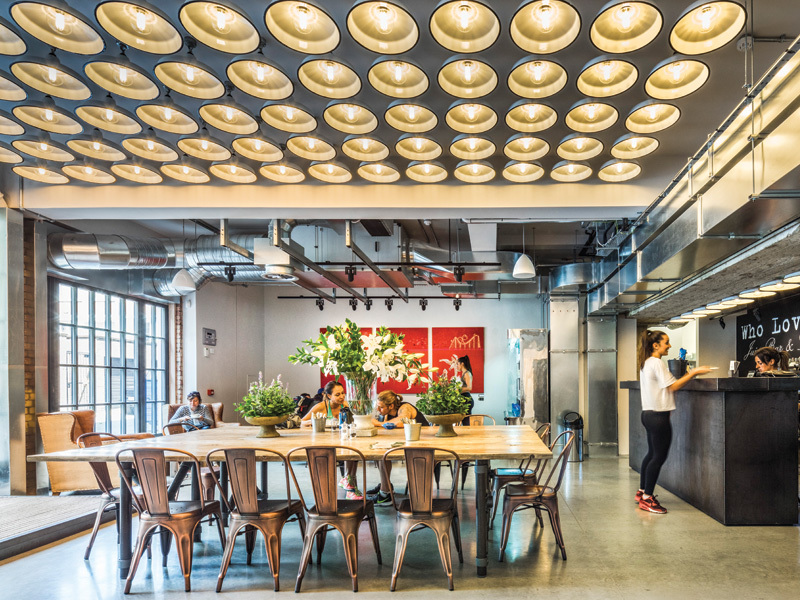 Breakout spaces for pre- and post-workouts maintain visibility and connection to the studios. A long ‘gallery’ in the basement acts as the circulation space and offers views into studio rooms. There is also a waiting area and changing rooms off this area.